Mumbai, January 28, 2015: A great emperor, a heroic warrior, a legend – but before all that, a son. This is the story of a boy who fought for his mother who was denied her rightful place in his father’s Kingdom. He set out to change it all, to ensure that her honour was reinstated. 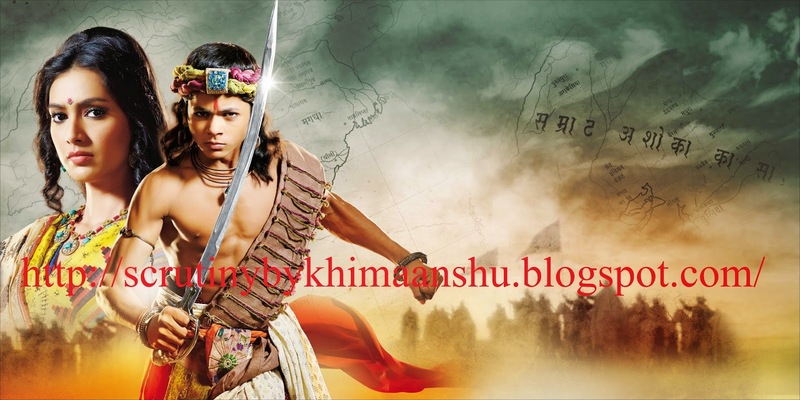 Come 2nd February, 2015, COLORS dives into the pages of history to highlight Ashoka’s (Siddharth Nigam) tale and his journey to becoming the greatest emperor in Indian history through its epic historical offering Chakravartin Ashoka Samrat. The show will touch upon every critical aspect of Ashoka’s life through exceptional storytelling, intricately structured script, stellar acting and some stunning visual effects. Chakravartin Ashoka Samrat, produced by Contiloe Productions, will air every Monday to Friday at 9:00 PM only on COLORS. For Chakravartin Ashoka Samrat, COLORS has devised an elaborate impact and reach-driven marketing strategy amplifying the thought ‘Yeh Woh Raja Hai Jiska Sikka Aaj Bhi Chalta Hai’. A special School Contact Program will be executed in close to 200 schools in 50 towns in Tier II markets where young students will, in an interactive way, learn about Emperor Ashoka and his life. A first-time innovation with the Mumbai Metro will have tokens being converted to coins from Ashoka’s Mauryan Empire for the duration of 1 week. The campaign will further engage viewers through platforms such as cable and television, print, DTH, and OOH at multiple touchpoints. Hope and pray Sidharth Nigam and Team Ashoka scale heights that have never been touched before. All the very best to this spectacular team.